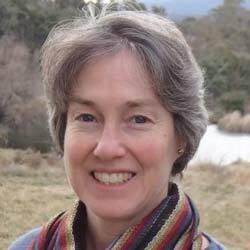 Annette Cowie is Principal Research Scientist, Climate in NSW Department of Primary Industries. Annette is the Land Degradation advisor on the Scientific and Technical Advisory Panel of the Global Environment Facility and also leads the International Energy Agency Bioenergy research group Climate Change Effects of Biomass and Bioenergy Systems. Annette has a background in plant and soil science, with particular interest in sustainable resource management, indicators of sustainability and resilience, and life cycle assessment. Her recent research has focussed on quantifying and managing climate effects of agriculture and forestry, including through bioenergy and biochar. Annette has more than 60 peer reviewed publications, largely focused on carbon cycle. Her research has been applied in development of climate change policy for the land sector, including GHG accounting for inventory and emissions trading. Johannes Lehmann, professor of soil biogeochemistry and soil fertility management at Cornell University, received his graduate degrees in Soil Science at the University of Bayreuth, Germany. During the past 20 years, he has focused on nano-scale investigations of soil organic matter, the biogeochemistry of black carbon and sequestration in soil, and sustainable land management practices in tropical agriculture. Dr. Lehmann is a member of the steering group of the International Soil Carbon Network, has testified in the US congress, briefed the President’s council of advisors, was part of Workgroup 2 on Monitoring and Assessment of Sustainable Land Management of UNCCD, serves on the Technical Management Advisory Committee of USAID legume program and the Department of Energy Biomass R&D Committee. Dr. Lehmann has authored more than 200 journal publications, and is the editor-in-chief of the journal Nutrient Cycling in Agroecosystems. Dr Stephen Joseph holds a Bachelor of Applied Science in Metallurgical Engineering, a doctorate in Architecture and Applied Anthropology and is completing a doctorate in chemistry. He is a Fellow of the Australian Institute of Energy, a chartered engineer and has been a senior adviser to both commercial, government and non-government organisations, in renewable energy, and sustainable agriculture and forestry. He has been the managing director of a renewable energy company for 23 years and a director of other renewable energy and biochar companies. 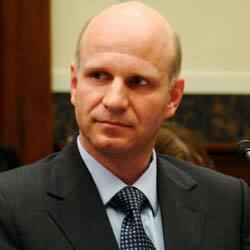 Dr Joseph has extensive experience worldwide in all forms of renewable energy. He has developed processes and technologies that convert biomass into energy and value added products. These include biodiesel; oil from algae and biomass combustion, pyrolysis and gasification plants; biochar; plastic wood composites; micro hydro, wind and solar energy; and additives for high strength concretes. He has also developed combustion devices to burn very diluted volatile gases. He has also been involved in multi-country market research into areas related to biochar, waste recycling and renewable energy. He has written over 100 books and articles, and lectured and trained other engineers and scientists throughout the world. 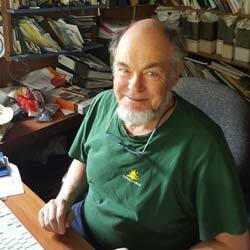 He was the founding vice chairman of the International Biochar Initiative and co-editor with Dr Johannes Lehmann of the first major publication on biochar. He is now a visiting professor at the University of NSW, Nanjing Agricultural University, University of Central Queensland, and New England University; A/Prof at the University of Wollongong; Research fellow at the University of Newcastle; and a director of a renewable energy and engineering company in the UK. 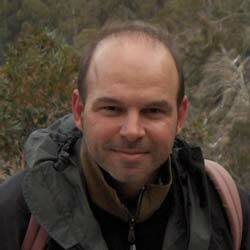 Dr Lukas Van Zwieten obtained a PhD in agricultral chemistry and soil science from the University of Sydney in 1995. He holds the position of Senior Principal Research Scientist with the New South Wales Department of Primary Industries. His research focuses on soil processes including C and N cycling, and how these relate to greenhouse gas emissions; contaminants in the soil environment; and unravelling microbial, rhizosphere and soil chemical processes. His research on biochar was acclaimed in the 2007 United Nations’ World Environment Day Award “Meeting the Greenhouse Challenge”, and it has been popularised through the Australian Broadcasting Corporations Catalyst program (2007), a CNN “special report” in 2008, ABC’s Landline (2009) and Discovery Channels “Ecopolis” mini series in 2009/10. Lukas holds the position of Adjunct Professor in Southern Cross Plant Science and is a member of Soil Science Australia. He has published over 70 papers and book chapters and has over 4000 cites (Scholar). Ruy Korscha Anaya de la Rosa holds a BSc in Mechanical Engineering from ITESM, Mexico City, an MSc in Sustainable Energy Technology from TU/e, the Netherlands, and a PhD in Environmental Science from Massey University, New Zealand. During his recent Postdoctoral research work at UNE, Australia, Ruy developed a GHG accounting methodology on biochar produced from poultry litter for the Australian GHG crediting system. He previously worked in the voluntary carbon markets, initially as project developer (based in Phnom Penh and Chefchaouen) and eventually as project manager (based in Paris) of wood-saving GHG emission reduction activities conducted by NGOs in rural areas of various developing countries. Ruy’s experience includes biochar, the technical and social implications of carbon markets, life cycle assessment, and the diffusion and successful adoption of appropriate renewable energy technologies in less industrialised countries. 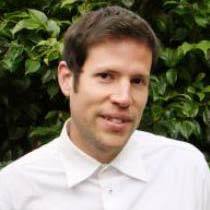 Adam is honorary Executive Director for Starfish Initiatives and will particularly contribute governance and financial support for B4SS. Adam brings a diverse range of professional experience and qualifications, with a current focus on supporting strategic and social change rural and regional sustainability ~ which integrates work across the environmental, community and business sectors. Adam’s current work in this space is largely with Starfish Initiatives, though some freelance too, and spans regenerative farming, renewable energy, reconciliation, youth development, social housing, business sustainability, mental health recovery and landscape-scale bush regeneration. While Adam’s original qualifications were in commerce and taxation law, they have expanded with formal studies in governance, strategy, facilitation, leadership, training, negotiation and communication. 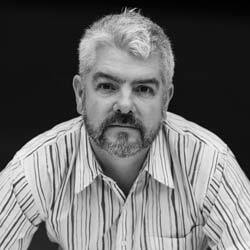 Adam is Executive Director of Starfish Initiatives, Director of the Minerals Policy Institute and Lock the Gate Alliance, Chair of The Armidale Waldorf School Governance & Leadership Committee, Social Leadership Australia alumnus and a member of the Great Transition Initiative. Adam’s detailed biography is available on LinkedIn.